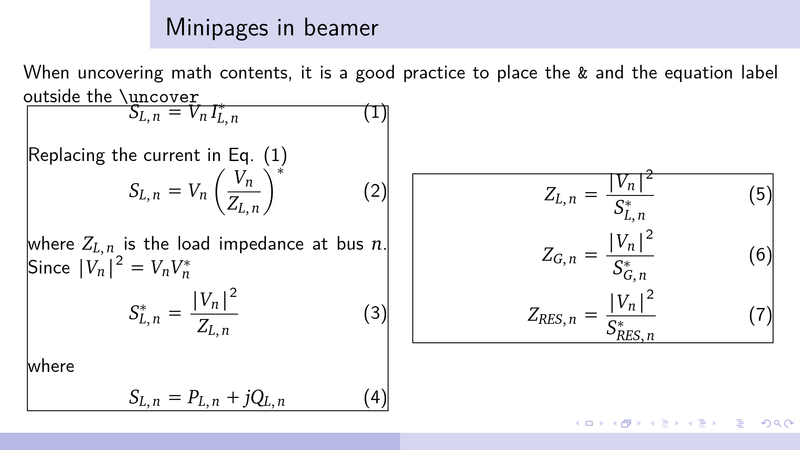 How to customize the margins of minipages in a beamer frame? I use inmargin for innertheme but sometimes I would like to write two column contents where a certain text extends from the very left to the very right of the page. However, I am still not sure how to control the margins precisely. I would like to equalize the margin of two minipages by making the clearance of the left box with respect to the left edge of the page equal to the clearance of the right box to the right edge of the page. The output below shows approximately what I want to get except that I want to get it in a more automated fashion rather than by trial and error in adjusting horizontal spaces and widths. Also, I want beamer to automatically place minipages horizontally in such a way that the margins of both boxes satisfy a pre-determined value. For example setting the margin of the left box with respect to the left side of the paper to 5mm and setting the margin of the right box with respect to the right side of the paper to 10mm. Also, I would like the text to stretch from left to right with a pre-specified and equalized margins to left and right. for changing the margins mid document, you could hack the \Gm@lmargin and \Gm@rmargin values, but don't forget that you will have to recalculate textwidth etc. Not the answer you're looking for? Browse other questions tagged beamer margins minipage or ask your own question. 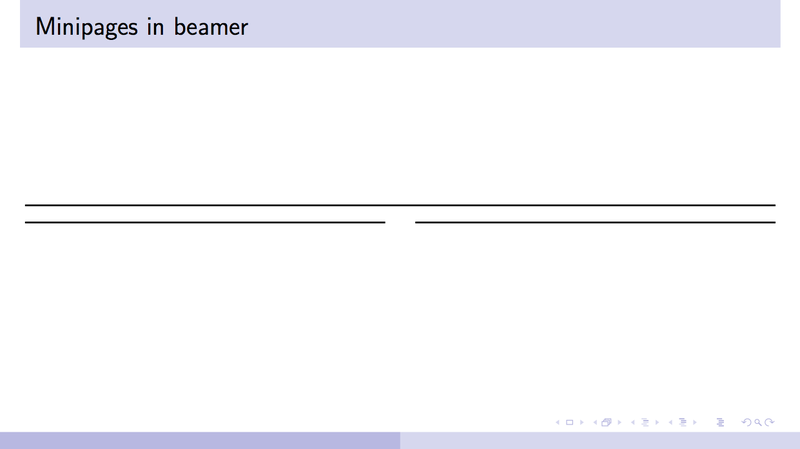 How to set vertical margins for beamer frame?